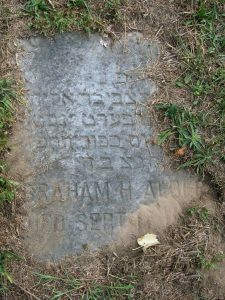 Rites for Abraham L. Albert, 49, of 302 South Beech Street, a building contractor, who died Thursday night at his home, will be conducted by Rabbi Irwin I. Hyman and Cantor Samuel Arluck In the Birnbaum funeral rooms at 2 P.M. Sunday. Burial will be In Adath Yeshurun Cemetery. Mr. Albert was a member of Westminster Lodge, I.O.0.F. ; Mt. Sinai Lodge, 864, F. and A. M. and of Temple Adath Yeshurun. Surviving are his wife, Mrs. Mabel Albert; three brothers, Max, Simon and Harry C. Albert; a sister, Mrs. Conn, and several nieces and nephews.